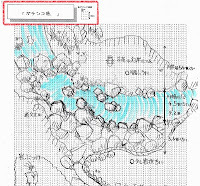 Following our look at the Tile Breaking job design document that was revealed by Yu Suzuki in a recent interview, we now turn our attention to two more of the documents he brought along with him, annotated in English: "Ganchinko" Fishing and Washing Place. 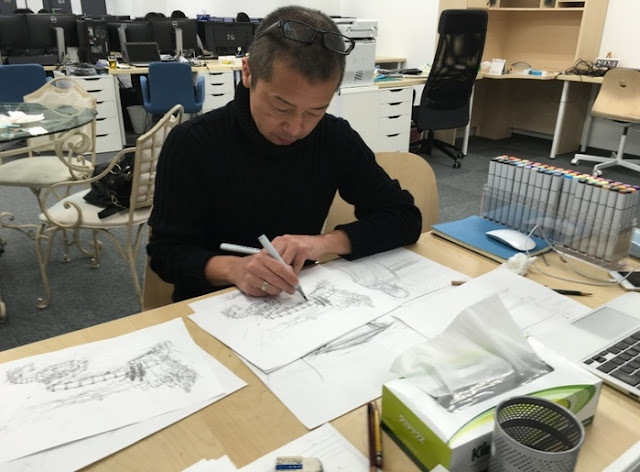 Fishing is an activity that Yu Suzuki has confirmed will be part of the upcoming Shenmue III. 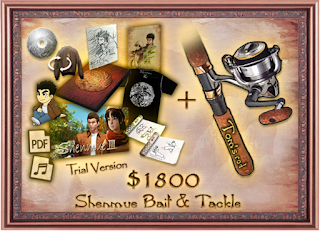 An obvious hint to this also lay in the in-game fishing rod and bait that were part of one of the Kickstarter reward tiers. At the 2016 MAGIC Monaco conference. Yu talked about the ability to fish in various places such as Bailu village, He also stated that fishing was something that the development team had wanted to include in Shenmue II, but it had to be left out as there was no room to fit it. 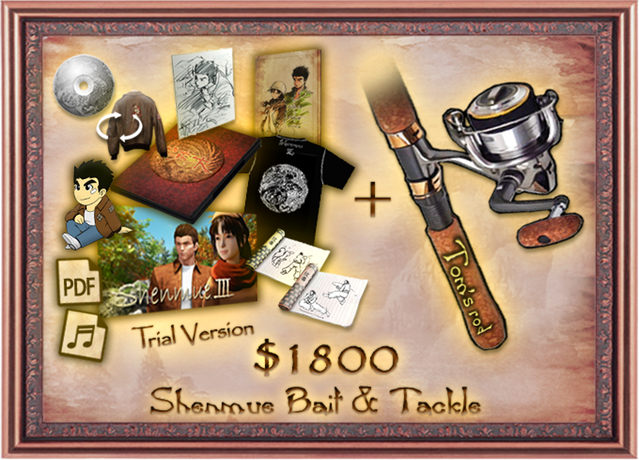 The "Bait & Tackle" Kickstarter reward allowed custom naming of the in-game items. 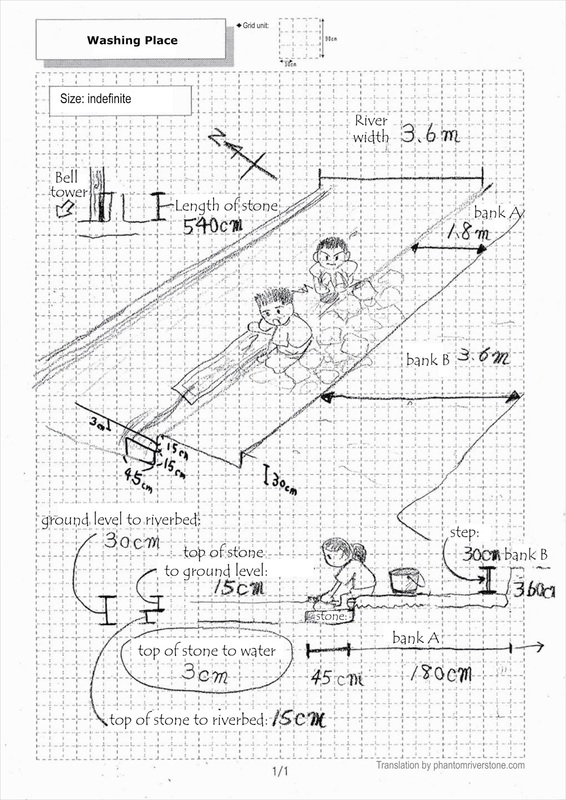 Interestingly though, the fishing style referred to in this document is not the usual bait-and-tackle style, but one that is known as "gachinko" fishing in Japanese. 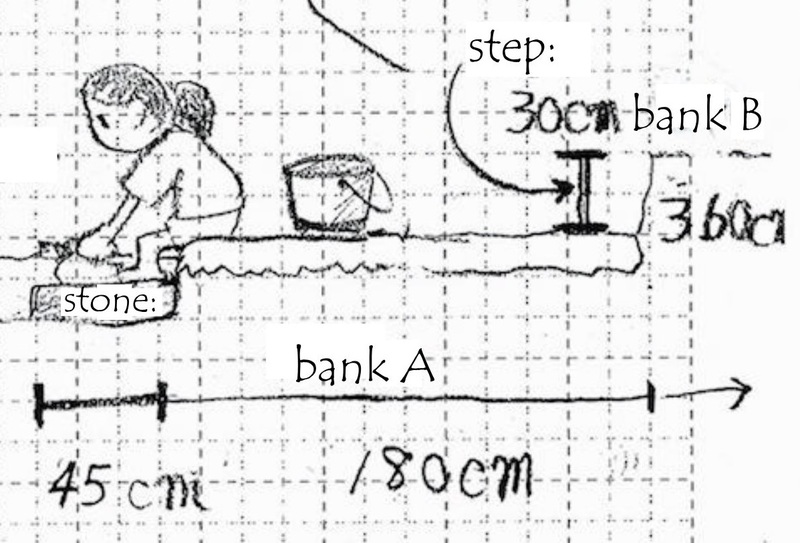 This is a method where the shockwave created by striking one rock with another is carried through the water and temporarily stuns the fish so they can be captured. 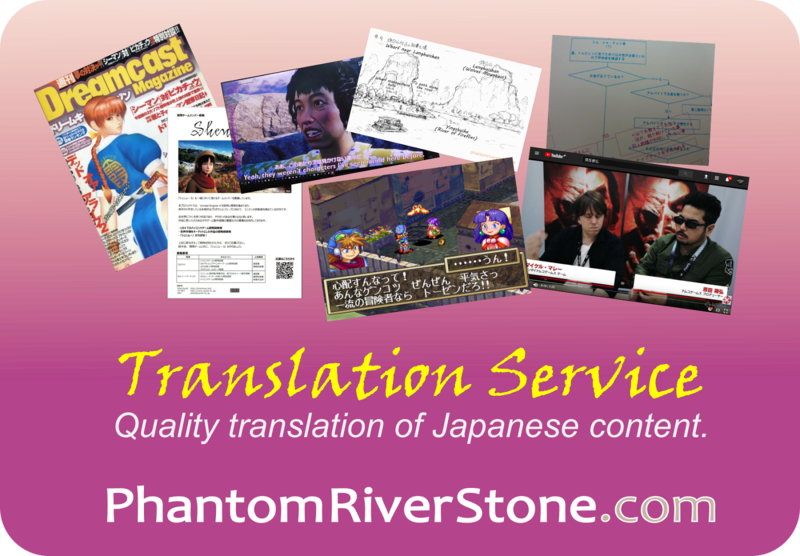 The insert image shows Ryo about to stun a small fish hiding under the rock in front of him. 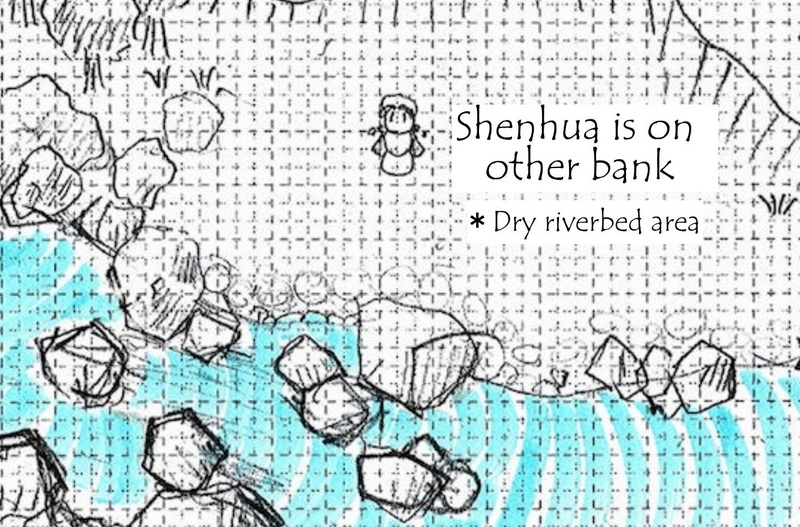 Specific note has been made of Shenhua standing on the other side of the river. Perhaps she has taught Ryo this method of fishing, and is now watching him try it out? If so, then let's hope he performs well under pressure. 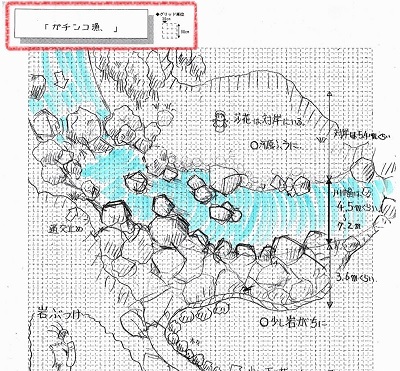 The words "collision image" in red may be referring to the boulders limiting the area Ryo can explore in terms of a collision map i.e. he is prevented from travelling further than the boulders at each end of the river. 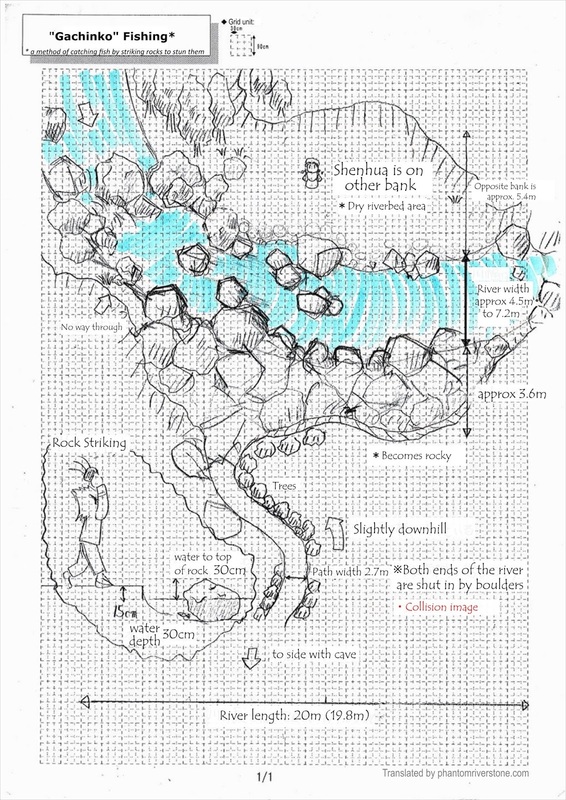 The mention of a cave further down the path is also a detail that invites further exploration possibilities. 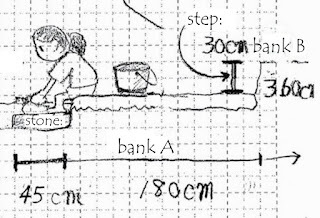 The second document depicts a riverside area for washing clothes, again with very specific measurements shown. 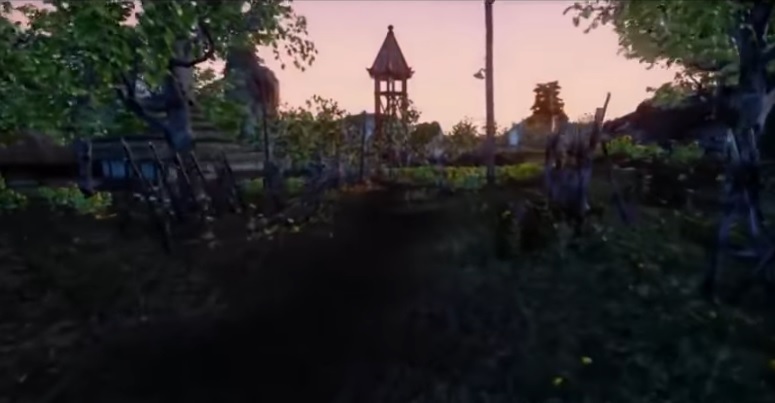 The reference to a "bell tower" suggests that this is a location inside Bailu village, as we have seen a wooden tower-like structure in some of the released Shenmue III footage. I'm not quite sure what the characters in the main image are doing: it appears to show one character washing or holding a towel or similar object in the river's flow, while a second character is intent on causing him trouble. (Please leave any improved or alternative theories in the comments!). 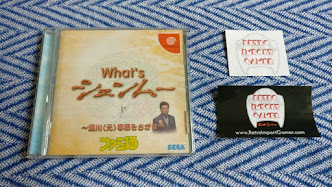 It would be interesting to know whether these are early (unused) documents from the time of the first two Shenmue games, or have been drawn up much more recently. Since Yu did not talk about the background or specifics of these documents directly in his interview, and they do not appear to be marked with information that fixes the date of their creation, it is difficult to say. However there is a definite similarity in the template of these documents with the one used for the plan of the Choubu Inn for Shenmue III that Yu Suzuki posted to Twitter in July of 2016. Each has the same rectangular title box at the top with a drop-shadow, and an indication of the grid dimensions displayed next to it. 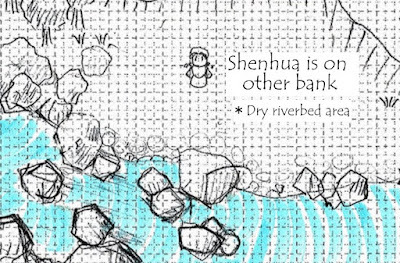 ...which matches closely the header style on the Shenmue III Choubu Inn document. 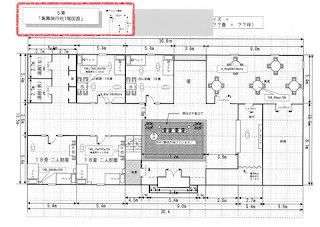 It's not a conclusive clue since this layout may also have been employed with some of the old Shenmue design documents, especially given that the environment designer for Shenmue III (Manabu Takimoto) also worked on Shenmue I & II. 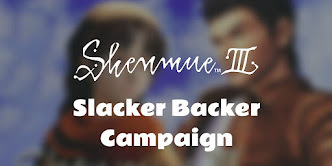 Overall I'm tipping towards these documents having been drawn up recently for Shenmue III - but either way, I think there is a good chance they will be incorporated into the new game. What is your take on these two documents? The fishing minigame reminds me of Suzuki's speech about "The Old Man and The Peach Tree" at GDC. Maybe Ryo too will meet a master while playing this minigame later in the game? About the second guy in the washing minigame, at a first glance I thought he was still Ryo though in a different required step, :D but his haircut looks less Ryo-ish so I'm probably wrong! I guess he's helping Ryo, but I can't make it out what he's actually doing. Oh yes, the kung-fu master in "The Old Man and The Peach Tree" skipped stones on the water to catch fish, didn't he. An interesting parallel there. Too bad there are no written notes on the document about what is happening with the riverside washing. Judging from the expressions on their faces, there is something going on though!